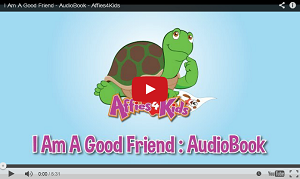 The Affies4Kids® Preschool Series introduces parents and children to modern-day fables, told through charming 5-minute videos. The friendly characters teach positive affirmations crafted specifically for kids. They are developmentally appropriate, promote self-regulation, expand critical thinking, and encourage problem solving. Affies4Kids can help empower your kids by giving them tools to lead a positive and productive life. Affies4Kids® is dedicated to affirming strong character traits, teaching children the language of positive self-talk and is committed to helping children everywhere become confident, compassionate, and resilient through parenting and preschool programs. The series includes both Audiobooksand Songbooks. 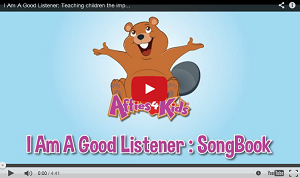 Watch the Audiobook Videos first and then reinforce the stories with the Songbook Videos. Read more about the Affies4Kids program. Content provided by Affies4Kids in partnership with SDPB. SDPB is committed to fostering lifelong learning by providing on-air educational programs, educational resources and community involvement. We provide a rich array of educational resources, from children's television programs to online lesson plans and interactives. We hope you will enjoy the Affies4Kids series. Find additional resources at SDPB.org/Learn.